The coffee hadn’t quite kicked in when I arrived at CCO headquarters a couple weeks ago. As I passed by our recruiting team’s office, I registered something out of the corner of my eye that caused me to double back and take a second look. Apparently, as my colleagues Alycia and Sam sorted through the archives, they decided to decorate their office space with this throw-back poster. 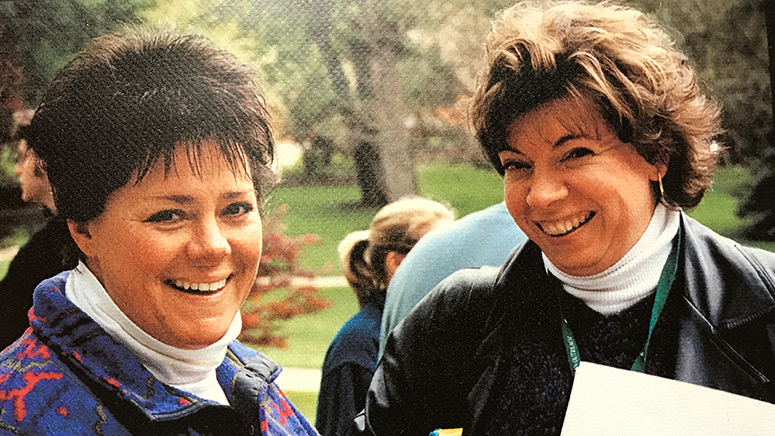 I had completely forgotten that I had ever been featured—along with my good friend, CCO colleague, and fellow Allegheny College alum, Sandie Starr Everhart—on our promotional materials! 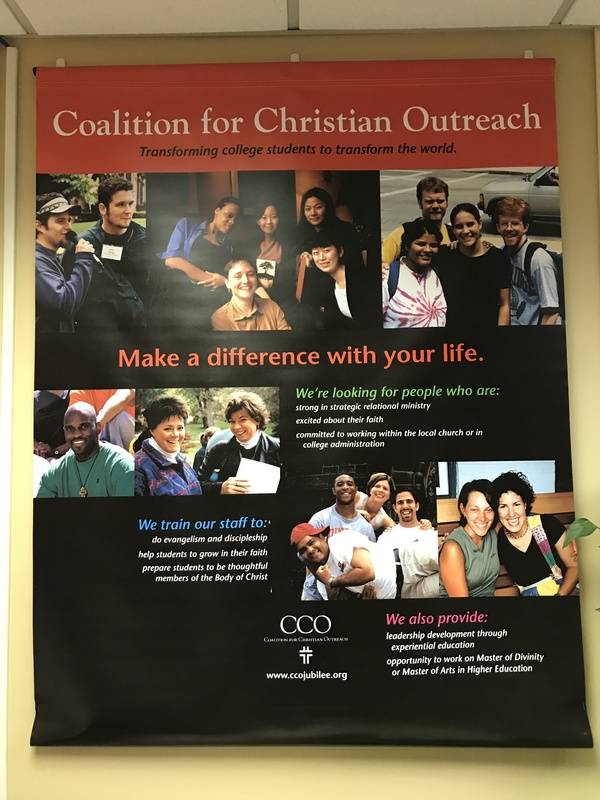 When this poster was created in 2001, the CCO had nearly 200 staff people ministering to students on approximately 70 college and university campuses. We will begin the 2017-18 school year with 300 staff people on 140 campuses. They will reach out to students near and far—in Pittsburgh, Pennsylvania and Fresno, California, in Sussex County, New Jersey and Memphis, Tennessee, in Fort Pierce, Florida and Minneapolis, Minnesota. I am more convinced than ever that the CCO’s mission of transforming college students to transform the world is essential. I listen to the news and am reminded of the brokenness all around us—the anger, the mistrust, the violence, the fear. We need leaders who are characterized by integrity, compassion, love, and character. And who are today’s college students if not tomorrow’s leaders? I am grateful every day for the privilege of influencing the next generation to serve Jesus Christ with their entire lives. Thank you so much for your love, prayers, and financial support that make it possible for me to participate in this life-changing ministry.